Discover the best of Downtown Honolulu when you stay at the landmark Ala Moana Hotel by Mantra! Located right next to the world-famous Ala Moana Centre, this stunning hotel is a shopping lover’s dream. 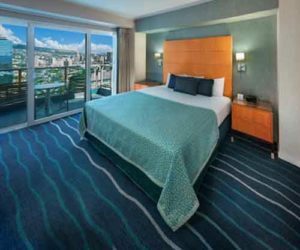 Enjoy ultimate comfort, style and convenience, with easy access to countless specialty retailers, the Hawaii Convention Centre and the Ala Moana Beach Park. 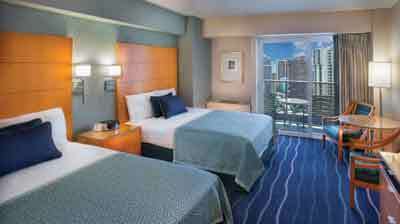 The Ala Moana Hotel provides ultimate comfort and convenience for business and leisure travellers alike. Standing tall, just steps away from the world’s largest open-air shopping mall, the Ala Moana Centre, the Ala Moana Hotel is a shopping lover’s dream. 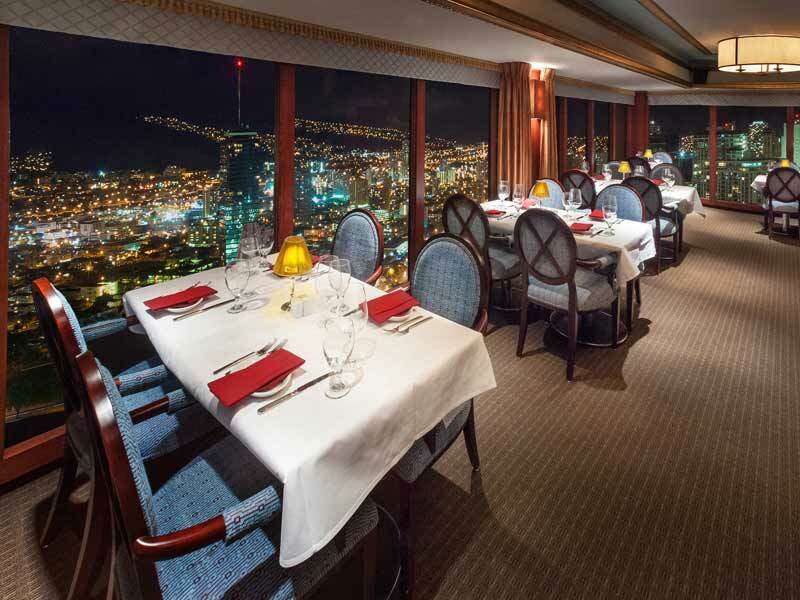 Browse countless specialty retail stores, including Louis Vuitton, Nordstrom and Barnes & Noble, then return to your well-equipped, light filled hotel room to gaze over either Honolulu cityscape, surrounding mountains or the Pacific Ocean. There are over 1000 rooms to choose from and each will allow you to store your bargains and recoup your strength before the next adventure! 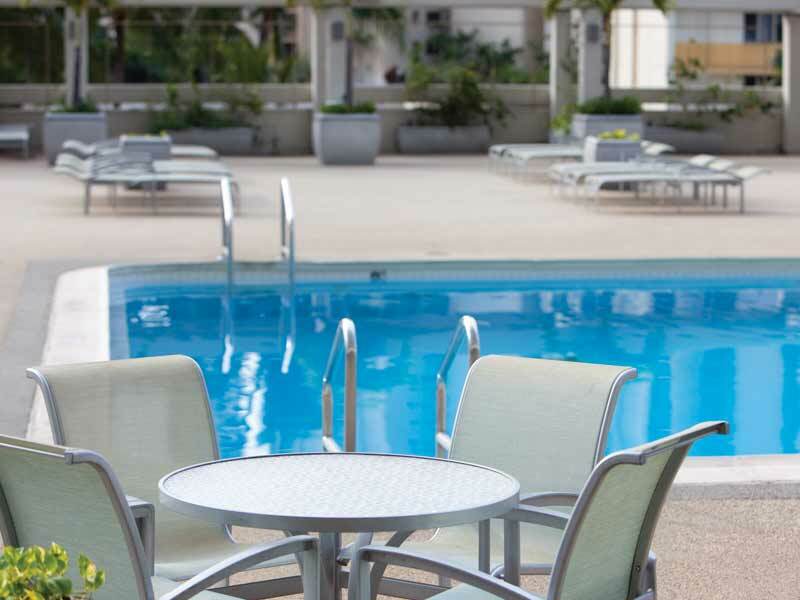 Enjoy some downtime at the Ala Moana Hotel. Soak up the sun on the spacious deck by the outdoor pool, make use of the fitness centre and sauna (both available from 5am-midnight! ), enjoy complimentary Wi-Fi to keep you connected or take your pick of 5 dining and lounge venues. 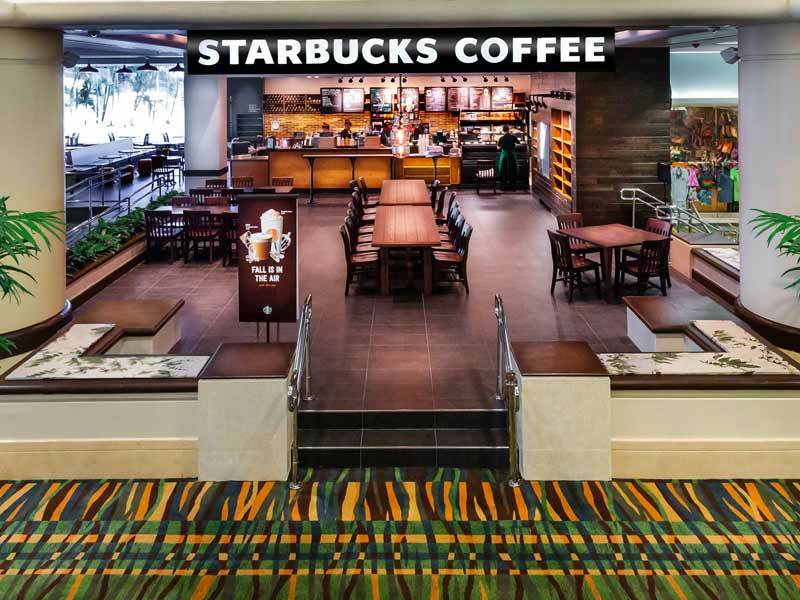 Choose between Signature Prime Steak & Seafood, the Royal Garden Chinese restaurant, Plantation Café or the resort’s very own Starbucks Coffee shop or Rumours night club and bar, where you can salsa the night away every Wednesday at Hot Latin Nights! If none of that appeals, there are plenty of international flavours on offer directly opposite the Ala Moana Hotel. 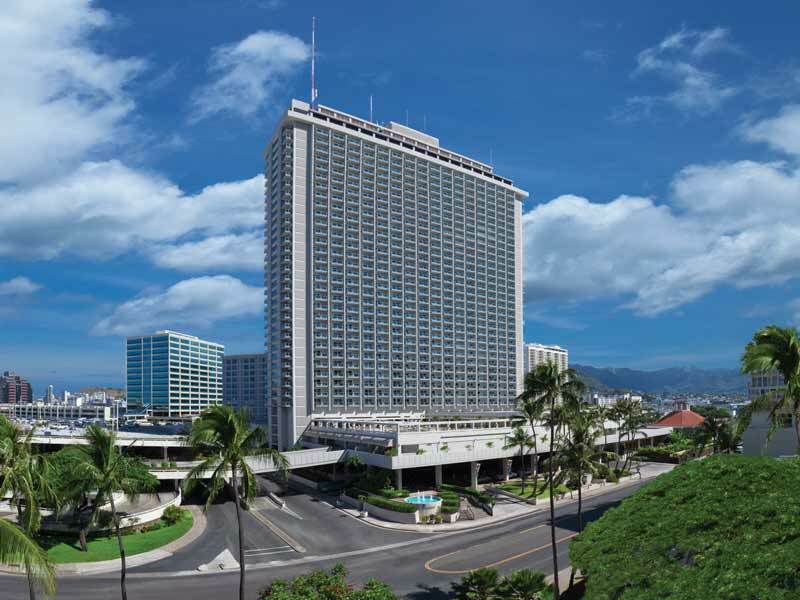 The Ala Moana Hotel is located opposite the Hawaii Convention Centre, making it the ideal accommodation for business travellers, or those in town for a specific event. A 6-minute walk will get you from door-to-door or, if you’re after a more scenic walk, the Ala Wai Promenade will take you there in just over 10-minutes, travelling alongside the picturesque Kahanamoku Lagoon. 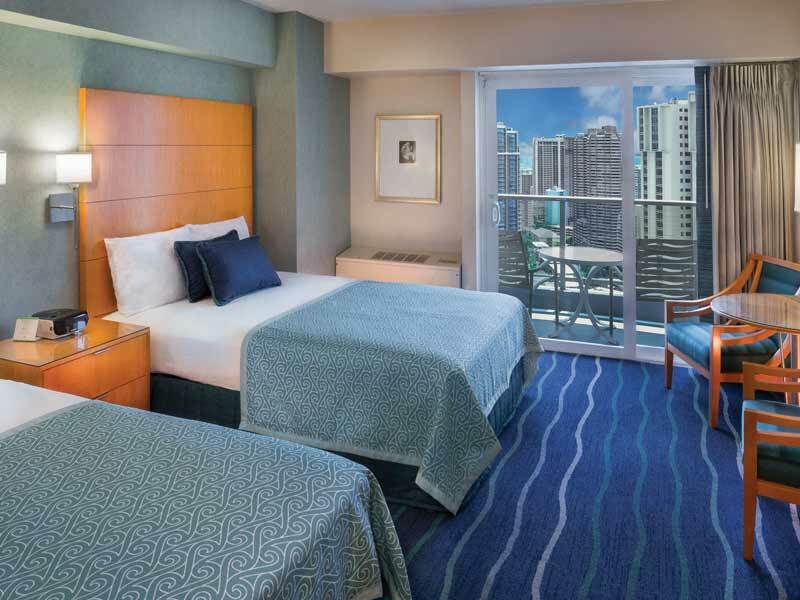 The Ala Moana Hotel is just 1 block back from the family friendly Ala Moana Beach Park plus, for those wanting to experience the iconic Waikiki beach, the journey will take less than 10-minutes by car, or a pleasant 20-minute walk past restaurants, community parklands, cafés and boutiques. 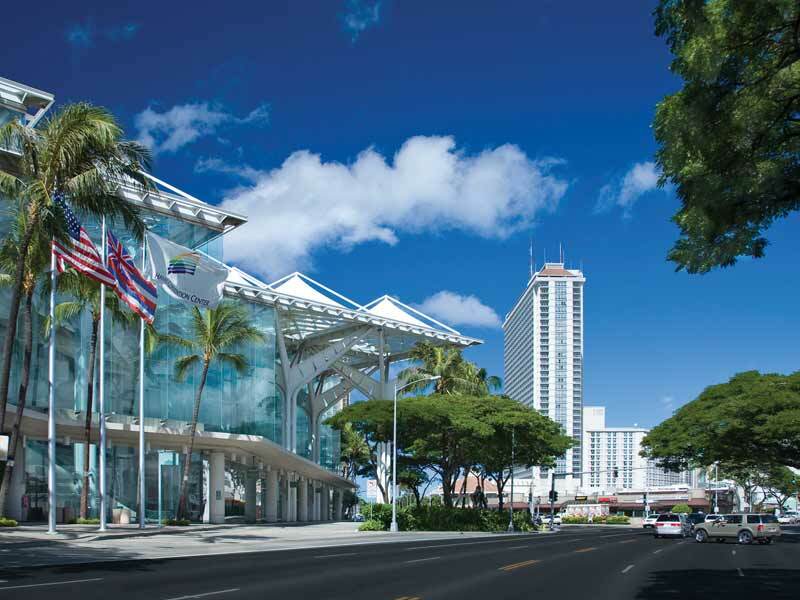 The biggest drawcard for the Ala Moana Hotel, aside from its excellent facilities and service, is its position in relation to the Ala Moana Centre. Enjoy being just steps away from one of Hawaii’s most prestigious shopping venues. Browse fashion brands, premier department stores and speciality retailers, plus enjoy a range of internationally-inspired cuisines from mall cafés, restaurants and snack stops! Once you’ve shopped to your heart’s content, travel a little further—visit the restored Iolani Palace for a unique cultural experience less than 15-minutes away and jump straight on the Lunalilo Freeway to take you directly to historic Pearl Harbour and the big breaks at North Shore! Kona Tower City Mountain View Rooms boast 1 Queen bed and can comfortably accommodate up to 2 people. Looking out toward the mountains surrounding Honolulu city, this room is light filled and features fresh and elegant décor. The bathroom is separate and has both a tub and a shower, plus there is free Wi-Fi included as standard! Store food in your fridge, heat things in the microwave and relax in the evenings, watching cable channels on your LCD TV. 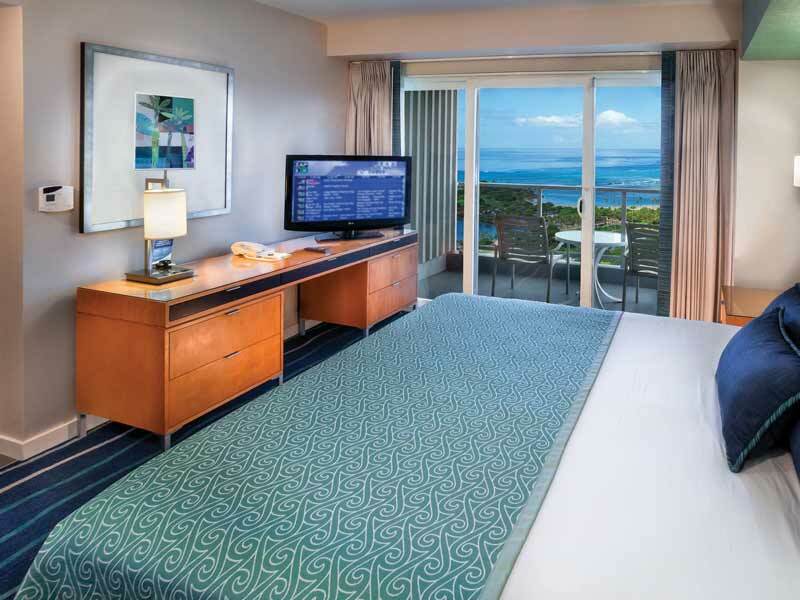 Kona Tower City Mountain View Rooms are non-smoking and a perfect for guests wanting to spend their holiday exploring Waikiki and picking up a bargain! 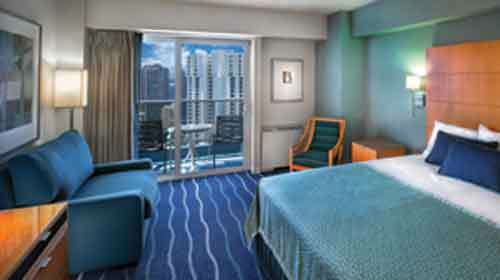 Ala Moana Hotel’s Waikiki Tower/City Mountain View rooms can comfortably accommodate up to 4 people. Bedding configurations can be either 2 Double beds or 1 King bed and a foldout lounge bed. Enjoy brilliant views toward the mountains behind the city, or the city itself and feel at one with the vibrant, bustling world below! The rooms feature large opening windows, a balcony, air-conditioning, free Wi-Fi and a separate bathroom with a bathtub and a shower! Watch cable channels on your LCD TV, store and heat food in your refrigerator and microwave and enjoy ample storage space for all your shopping purchases! 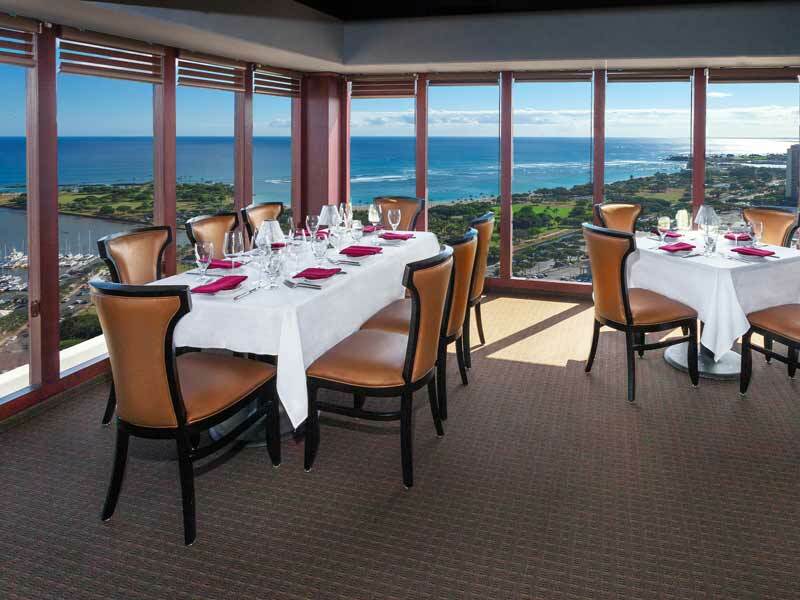 Look out over the faultless Pacific Ocean from a Waikiki Tower Partial Ocean View Room. Choose from either 2 Double beds or 1 King bed and a foldout lounge bed and enjoy letting the sea breezes float over you from your private balcony. These rooms are naturally light-filled and offer the perfect mix of comfort and convenience to enhance your stay. Make use of the refrigerator, microwave, coffee maker, free Wi-Fi and unwind at night in front of your LCD TV. 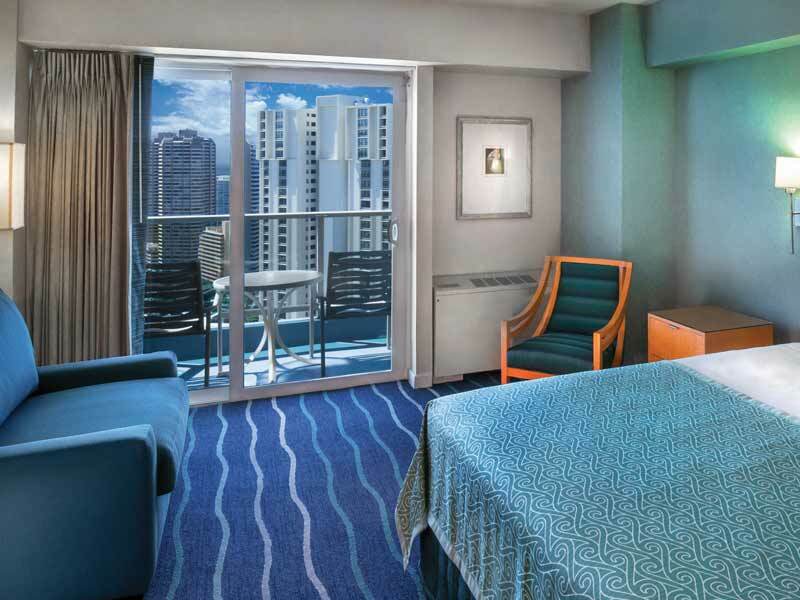 Waikiki Tower Partial Ocean View rooms can comfortably accommodate up to 4 guests (3, if the King bed-foldout lounge option is chosen). 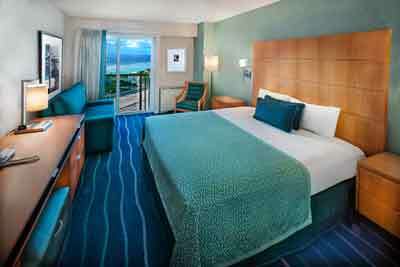 Rest well on premium bedding as you gaze out over the Pacific from your Waikiki Tower Ocean View room. Complete with free Wi-Fi, an LCD TV, air-conditioning, stunning floor-to-ceiling opening windows, a private balcony and a separate bathroom with tub and shower, these rooms are the perfect place to relax and recover after a long day of shopping or business meetings! Bedding configurations come in either 2 Double or 1 King bed with a foldout lounge and up to 4 guests can be comfortably accommodated within the well-designed space. Housekeeping operates daily and there is a refrigerator and microwave to store or prepare any food you might bring back with you from the shops! 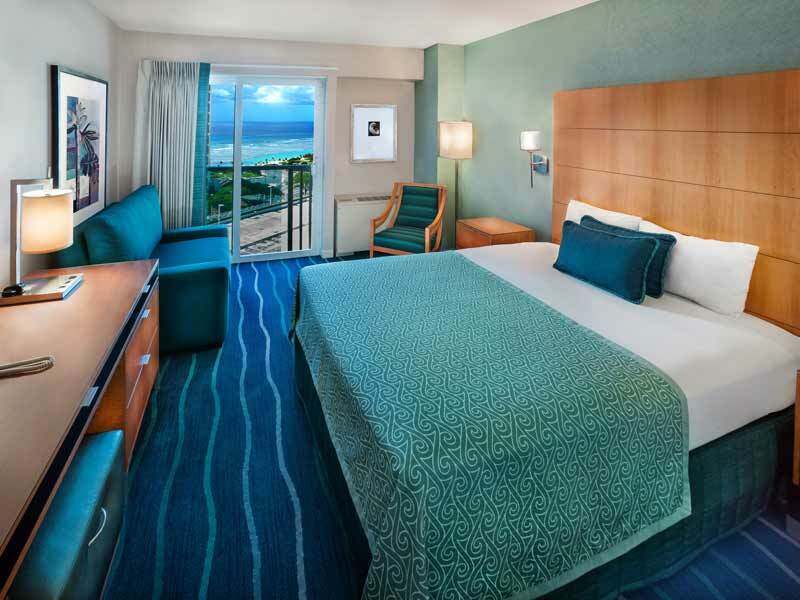 Wake up in premium comfort and enjoy stunning views toward Honolulu’s mountains through impressive floor-to-ceiling opening windows. Gaze at the bustling world below from your private balcony and enjoy extra space inside, with a designated parlor/lounge area. Waikiki Tower 1 Bedroom suites come with complimentary Wi-Fi, a separate bathroom with bathtub and shower, an LCD TV with cable channels and a kitchen area. Prepare meals on the 2-burner stove, convection oven or microwave, store food in the refrigerator and wash all the mess away easily in the dishwasher. These rooms are ideal for longer stays and can comfortably accommodate up to 4 guests on 1 King bed and a sofa bed. Note: Additional upgrades are available to enjoy the same features and facilities, plus views over the Pacific in a Waikiki Tower 1 Bedroom Ocean View Suite. 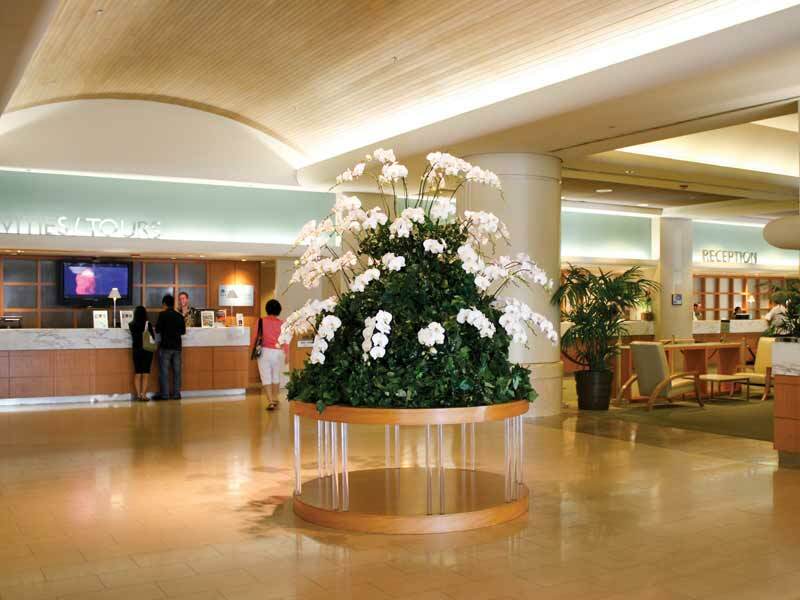 The Ala Moana Hotel by Mantra is located close to the beach, parkland and jogging paths, the Ala Moana Centre and the Hawaii Convention Centre. 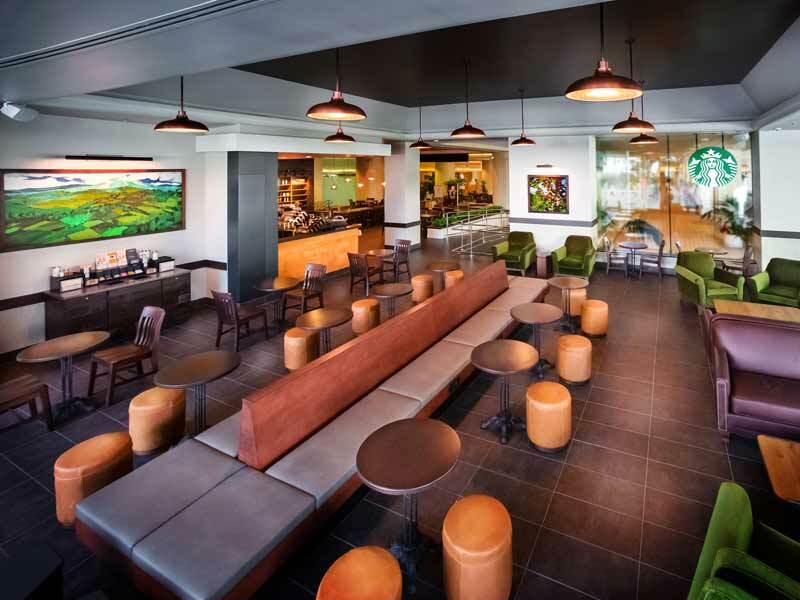 An easy 20-minute drive will get you there from the Honolulu International Airport, plus it is within 5km of Chinatown and central Downtown Honolulu and under 1km from the Waikiki Beach Walk! There are plenty of things to do and see around the Ala Moana Centre, whether you’re interested in shopping at the Ala Moana Centre or not! Walk the Hawaii Beach Walk, under 1km from the hotel, and enjoy being so close to the sand, ocean and the vibrant, engaging heart of Honolulu. Spend a day at the beautiful, family friendly Ala Moana Beach Park. This calm, picturesque stretch of beach offers around 40 hectares of sand, parkland, shaded picnic areas and freshwater ponds. Learn to surf, stand-up paddle board or swim laps in the deep-water channel that runs 750m along the beach! There are coral reefs nearby for snorkelers and scuba divers too, so if you’re more of an outdoors, water-based holiday maker, the Ala Moana Hotel can still be the perfect place for you! We always stay at the Ala Moana Hotel whenever we visit Oahu. 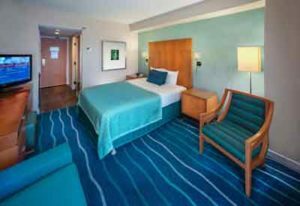 The hotel is very clean, staff are friendly and helpful and it is located within walking distance to Ala Moana shopping center.